The Linda Vista Multi-Cultural Fair features a variety of areas targeted towards various activities and themes. The World Arts Village provides an opportunity for multi-cultural folk artists and fine crafts people to present and sell their work in an exclusive exhibit area. The village will feature hand made textiles, pottery, jewelery, glasswork and other visual arts. Artisans will demonstrate their crafts and provide hands-on workshops for all ages. Musical performers will entertain visitors and an outstanding exhibition of time-honored cultural artwork will be on display during the day. 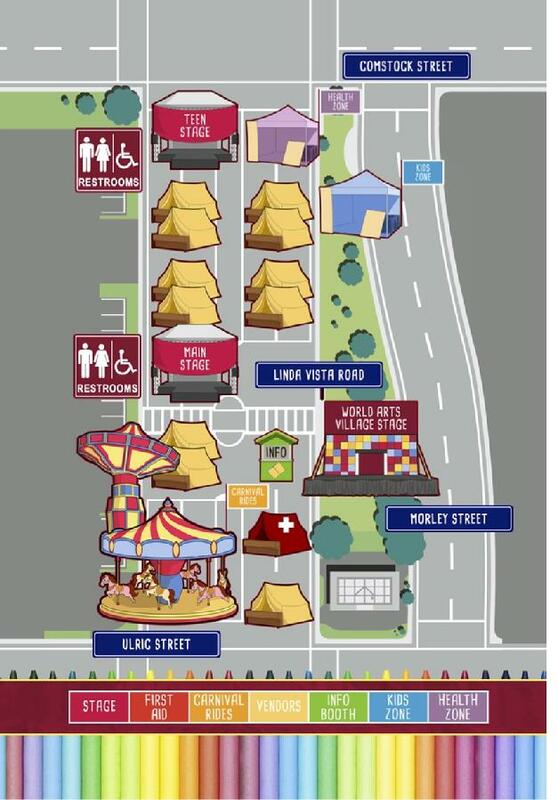 Magician, clown, hat making, bouncer, giant puzzle, arts & crafts and many more surprises! The Education Pavilion is an area of the fair designated for educational institutions and youth-based community initiatives to share information and activities about their organizations with parents and youth in the community. 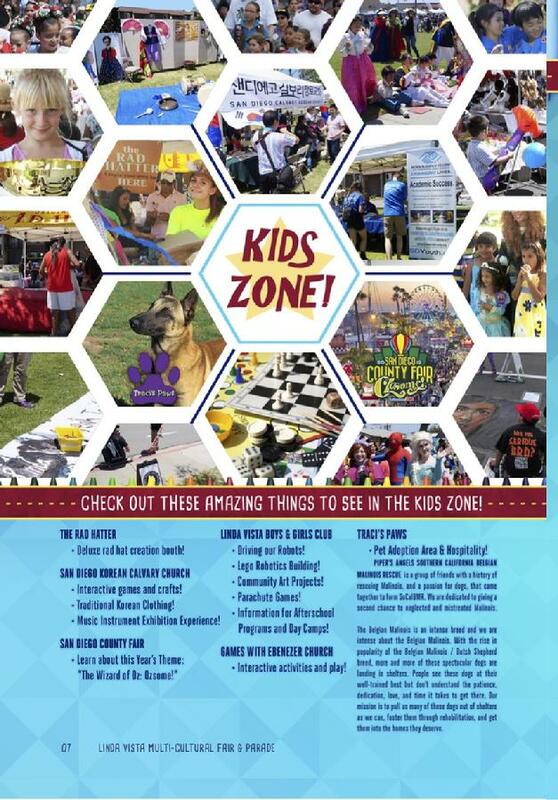 Each booth aims to encourage the youth of Linda Vista to commit to their education and set the personal goal for themselves to attend college. The History Pavilion is an area designed to share the history and stories of Linda Vista! The food court offers delicacies from all over the world, including Egyptian, Thai, Chinese, Filipino, Mexican and American. Come enjoy the Main Stage entertainment as you sit under the shade umbrellas in the International food court! Our Carnival Zone is fun-fun-fun with rides like the Scrambler, the Giant Slide and Pony Rides. This year we're adding new and exciting rides- but it's a secret - you have to come out to see what they are!